The answer is pretty simple, if you have the "whole" story! These were taken last week, on one of our dreary days. You know, no sun, no rain, just gloom. 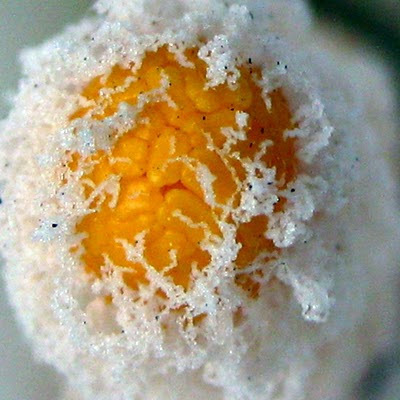 At first I thought it was a slightly 'scrambled' fried egg but the answer is something much more lyrical and Springlike! Wow! Talk about macro! Great close ups. I'd never have guessed what it really was. Fabulous detail in that top macro! Well Jan, the first reminded me of corn on the cob with freezer burn and the second of cheese on pizza. Wow! Didn't you get nice and close!! It looked to me like something stranded on a beach with tiny grains of sand stuck to it ... and yet not quite. Great shot - great puzzle! 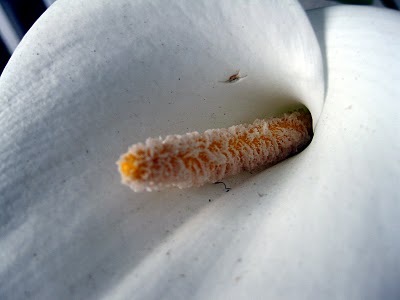 Wow Jan...Awesome macro! I couldn't even begin to say what it was. 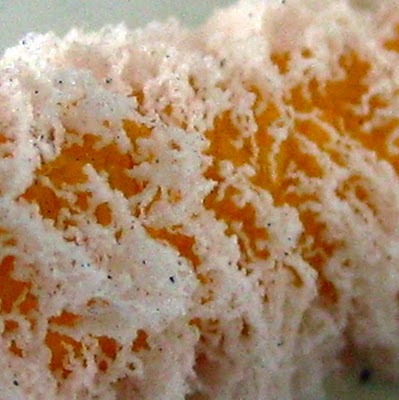 The top one reminded me of a frozen orange even though I don't think that I've ever seen one. These are excellent macros. What a great macro! Didn't know what it was until that last shot! You're a stinker Jan and you sure fooled me! haha, I was thinking of an orange left out in crushed ice at first. You are sneaky.... 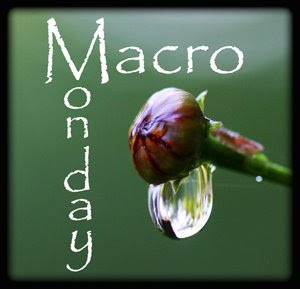 Terrific macros! Hey, I know those days. We had way too many of those, but now the sun has begun to shine, and we rejoice.